Bunions are misaligned big toe joints that can become swollen and tender, causing the first joint of the big toe to slant outward, and the second joint to angle toward the other toes. Bunions tend to be hereditary, but can be aggravated by shoes that are too narrow in the forefoot and toe. 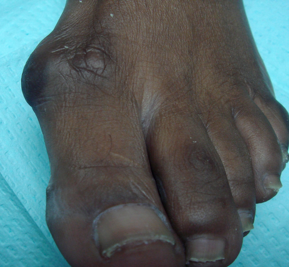 Bunions are usually caused by improper foot function and arch alignment. 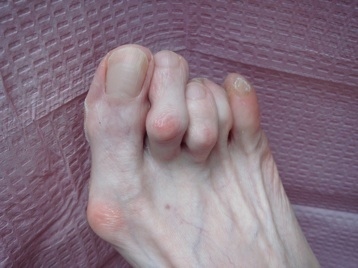 Bunions can become arthritic and painful if not treated promptly. Conservative treatment should be tried initially and includes proper shoes and in most cases orthotics (prescription molded arch supports). When conservative treatment does not work, surgery by the podiatric physician is frequently recommended to improve the painful condition. Dr. Fishman routinely orders foot x-rays, reviews them with the patient and plans with the patient their preferred treatment program.